For a time embodying the notion of the Femme Fatale, the alluring Gloria Grahame (1923–1981) will be forever remembered for her scintillating performances in films like Crossfire (1947), In a Lonely Place (1949) and the Oscar-winning Bad and the Beautiful (1952). This talk by Adrian Wootton OBE, coincides with a new Grahame biopic starring Annette Bening, adapted from the book Film Stars Don’t Die in Liverpool. Lavishly illustrated, Wootton demonstrates Grahame’s brilliance, but also reveals that the controversial personal life of the four-times married screen siren was as tumultuous and complex as the best movie plot. 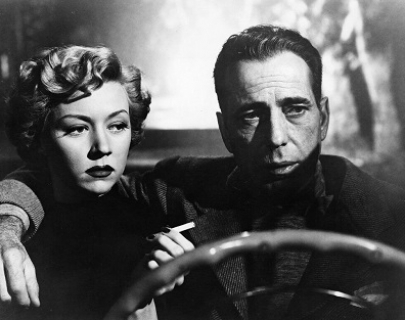 The day includes a complete screening of Nicholas Ray’s In A Lonely Place.